Rene’ Ackerman is the Director of Music and Worship Arts at The First Baptist Church of Greater Toledo. Rene’ is a graduate of Defiance College with a dual major in Music – Performance and Art – Design. During her formative years, she began her interests in music, art and theatre. It continued in her high school and college years when she began accompanying and singing for various choirs, musical theatre and playing organ / keyboard for church services. 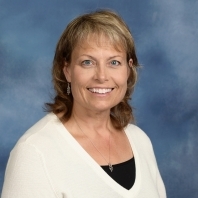 She works with several high school choral and instrumental departments. Presently, Rene’s religious calling is with First Baptist Church and is faithfully serving her second year. Rene’ has three wonderful boys of whom she is very proud of; Matthew, Christopher and Bradley. Matthew resides in Boardman, OH. Christopher resides in N.Y.C. and Bradley resides in Rossford, OH.